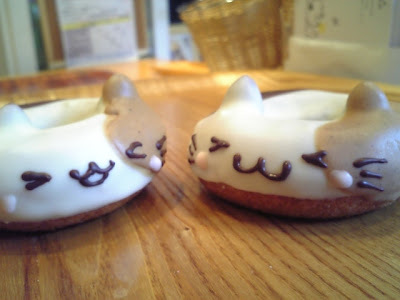 Preempting your usual cat cupcakes to highlight these cuteness-barrier breaking kitty donuts straight out of Japan, by Twitter user @floresta_mama! 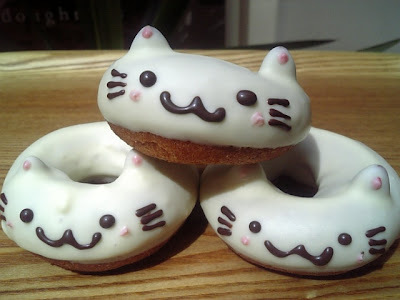 Whenever I do these posts, people often comment how they are "too cute to eat," but I'd be lying if I said I didn't want to tuck into these guys! 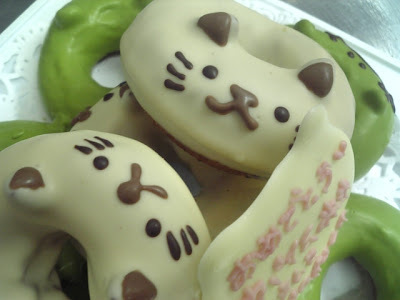 Does that make me a cat-ivore? Via @floresta_mama / More pictures this way! @Andrea hahaha, I love that! Very clever and sumptuous looking! 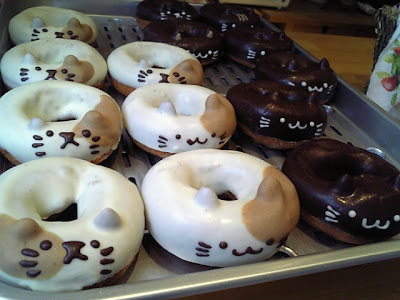 I ate one of these today! I randomly came across a small stand shop selling these in Japan and was so excited!